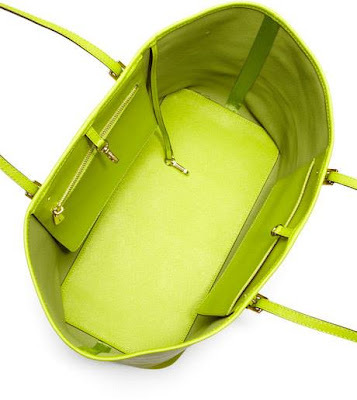 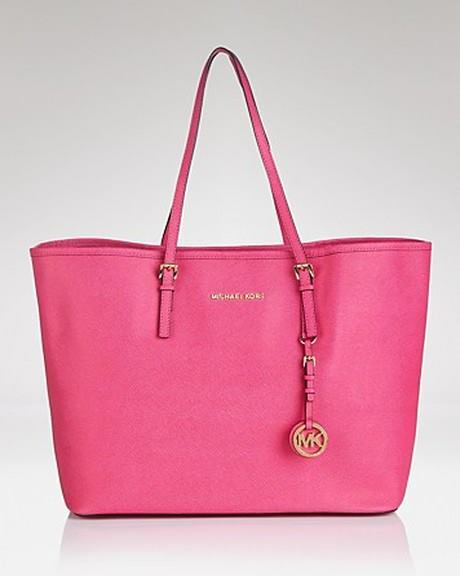 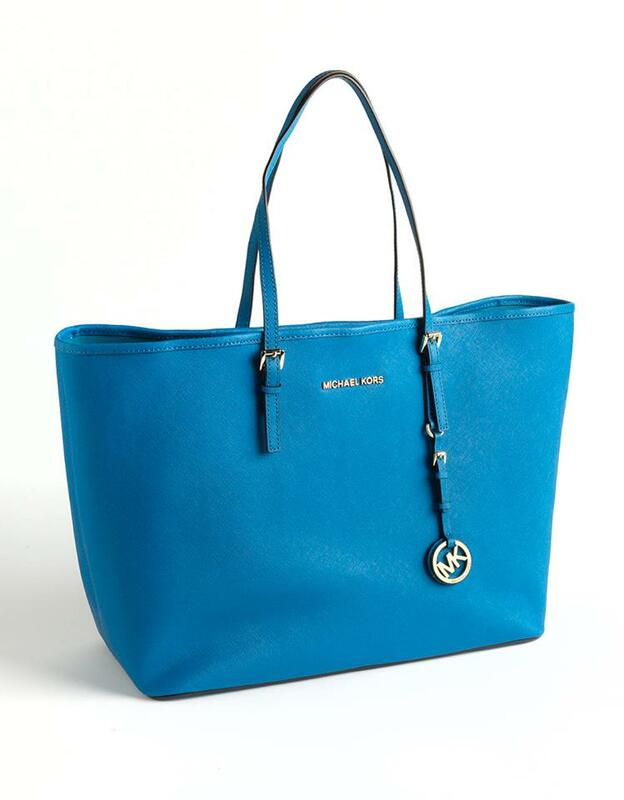 Polish your look with this timelessly chic Jet Set medium travel tote by Michael Michael Kors. 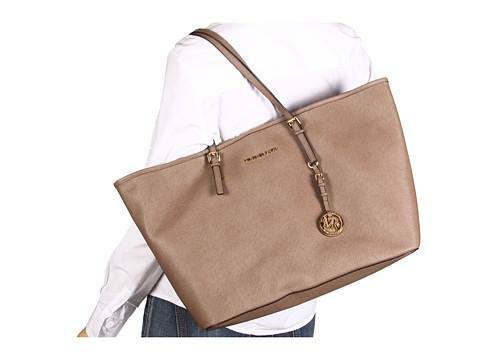 A roomy design and chic goldtone accents make this tote a must-have for any gal-on-the-go. 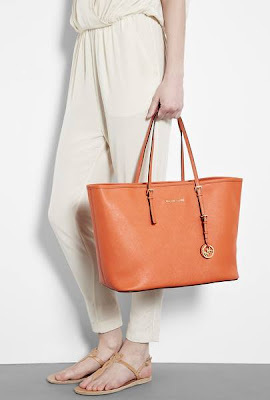 Dual handle with Strap drop: 9"